In an op-ed for Arab News, he wrote that the protests that began in late December 2017, were vastly different to those that began in mid-2009. 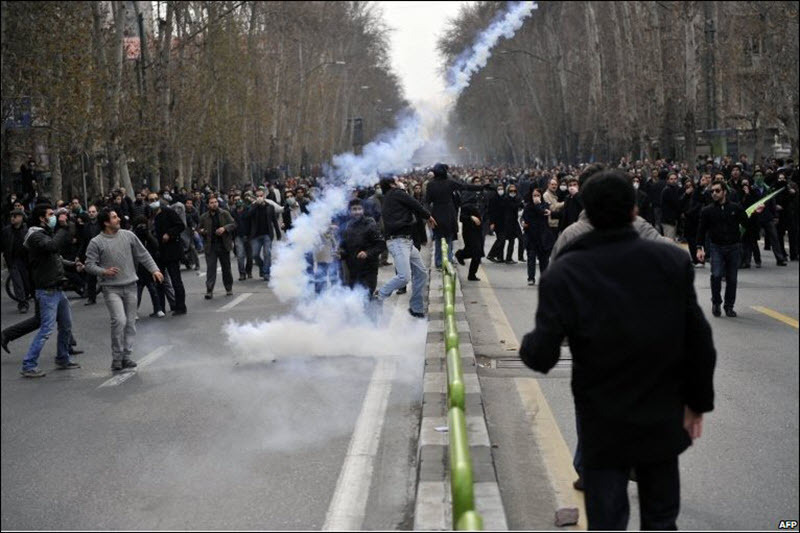 A mere nine years ago, the protests were focused on free and fair elections, rather than regime change, but the mullahs failed to address these concerns and now the tables have turned. These new protests are erupting from inside the Regime’s core base, with farmers, conservatives, and religious people disgusted by the mullahs’ corruption and mismanagement. These unforeseen protesters explained that there is no real distinction between hardliners and moderates and demanded that the mullahs leave office. The protests, including the most recent ones that have sprung up since mid-June, centre around a mixture of political, social and economic grievances by the people, but they all cite the Regime as the common problem. This can be seen in the chants from the people, who are loudly saying: “strike, strike,” “we are all together,” “let go of Syria, think about us,” “close your stalls,” and “No Gaza, No Lebanon, my life for Iran”. We can see that these protests are a major threat to the Iranian regime by the way that the middle and lower classes in Iran are joining together, showing that it is not just one set of problems causing the protests. It’s also important to note that the latest protests are taking part in the capital of Tehran, which the Regime fears because that is traditionally where any fundamental change in Iran has sprung from. Another thing that is important is that the US and its allies have been putting political and economic pressure on the Iranian Regime, while expressing sympathy for the Iranian people’s cause. This has been encouraged by dissidents in exile who want to hold the Iranian regime accountable for human rights violations and the suppression of basic rights. Indeed, the Regime should be worried as their time in power is coming to an end.